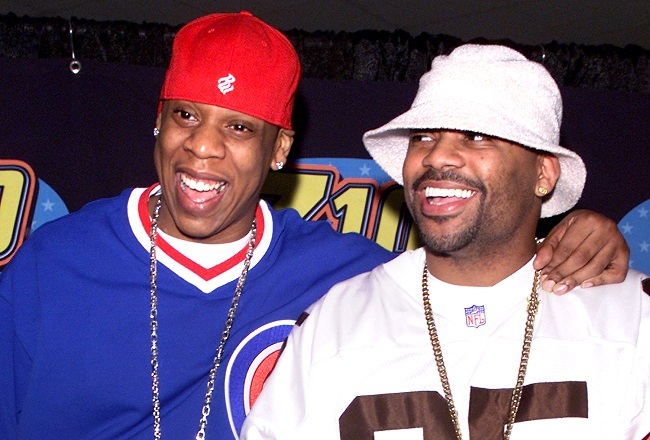 Dame Dash is the former business partner of hip hop mogul Jay Z. 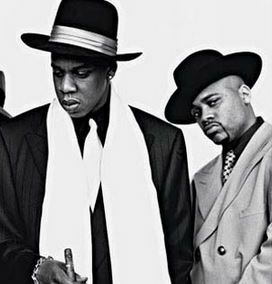 Their partnership ended on bad terms and left Dame in serious debt while Jay Z walked away with roughly $250 million. Although I love what Dame brought to hip hop and he deserves credit for advancing the culture as well as the music, his confrontational bully-ish personality is hard to overlook. This interview isn’t an anomaly, he’s always presented himself in this manner. Watch the video and read my thoughts after. Before watching this interview I still had a little respect for Dame. I knew he had an abrasive personality but now I see him as a joke. I use to think he was your typical “type A” personality. Extremely confident in himself driven by a need to dominate and that made him seem conceited and self-centered. After this interview I realized I had him all wrong. He’s not confident and filled with high self-esteem, he’s the exact opposite of that. Extremely insecure, filled with self-doubt, and deathly afraid someone will figure this out. This interview with DJ Envy and Charlemagne revealed how intimidated Dame was right from the beginning. You can hear it in his voice at the start of the interview. He’s terrified. The odd way he tries to challenge Envy’s manhood is a textbook example of a psychological coping mechanism called overcompensation. It’s defined as an attempt to make up for a character trait or flaw by overexaggerating its opposite. For example; if you feel your masculinity doesn’t measure up to the masculinity of the other men you’re dealing with, you’ll try to project an image of hyper masculinity. You’ll start talking about testosterone and how much of a “real man” you are. No one who’s confident and secure in their manhood would have to engage in this type of boasting. Another thing that bothered me was the things he said about social media. He says “real men” don’t use social media. This is absolutely ridiculous because anyone who considers themselves a business man would realize the importance of social media in promoting your brand. There’s not one successful business or successful music artist who does not use social media. If you’re not promoting your brand on social media then you’re leaving a lot of money on the table that could easily be scooped up with little effort. Utilizing social media as part of a marketing strategy is pretty ubiquitous now… especially in entertainment. Dame should know that. Another thing that bothered me was Dame’s obsession with being “a real man”. Maybe he feels inadequate in his manhood. Who knows, but that’s definitely not normal. Who the hell goes around constantly thinking “what would a real man do”? If you are a man of honor and living up to what you believe a real man is, you wouldn’t have to constantly define it while trying to convince other people you have those qualities. It would be self-evident. Dame trying to convince Envy that he’s not a real man because he works for the radio station is one of the saddest parts of this train-wreck. I don’t see how Jay hung in there as long as he did. If I found out that Dame was a part of any business deal that I was considering, there’s no way I’d go through with it. No matter how much money I stood to gain. Life is too short to bring this kind of hyper insecurity into any kind of business dealing. One last point about Dame; I hate when famous African American music moguls do an interview and make it sound as if he’s the only smart businessman making money while all of his piers are getting taken advantage of. Why does Dame constantly play that role? “I’m smart with my money and business dealings but every other black business man is really getting screwed”. STOP THAT! It’s annoying and childish and you shouldn’t have to disparage another African American businessman to make yourself feel superior. If he was really as smart as he proclaims he would still be partners with Jay and he’d be worth just as much as Jay. Dame had to walk away from the label with nothing because he wasn’t making smart business decisions. No one gives up that much money voluntarily. 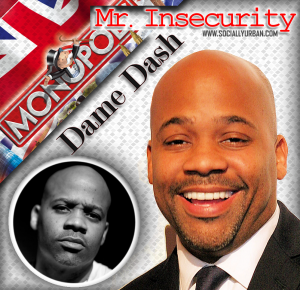 Of course I do not know Mr Insecurity Dame Dash personally so all of this is just my opinion. But after observing him in this interview and others, I think my armchair psychology hits pretty close to home. Some of the points he made about entrepreneurship are 100% valid and I also believe more African American’s should look into starting their own businesses. I started my first business when I was 13 years old. I purchased 200 t-shirts wholesale and sold them all within a week. I did that through Junior High and decided to start a totally different business in high school. I sold custom business cards to almost every student at my school, and then hired students from other schools in the area to sell my product to their classmates as well. I then branched out and started designing advertisements for local churches. I’ve only worked for a boss maybe 2 years out of my entire life. But not everyone is suited to become an entrepreneur, and there’s nothing wrong with that. If you’re happy working a 9 to 5 don’t let idiots like Dame Dash make you feel less of a person for it. Please don’t adopt his insecurities because no one who lives like that are happy and content with their lives. I totally disagree with your assessment of Damon Dash in regards to the interview at the Breakfast Club! He was seriously trying from the onset of the interview, not have to sit through another barrage of questions about his relationship with Jay-Z! He made it clear that he didn’t want to talk about that! That was his right as an interviewee! The host DJ Envy insisted on asking the question anyways, and Damon simply had enough of it, and was visibly upset! If your only concern is about how he said things, and his aggressive personality, then you’ve definitely missed the point! He wanted to talk about the present state of his affairs and the businesses and latest projects that he is trying to promote out here!! Also, his reference to ‘real men’ is certainly not a indictment on his so called ‘insecurities’! Not at all, he was trying to teach some of the listeners including those in attendance what real men do, and don’t do! As a businessman myself, I came away from the interview thinking, this guy is right on point!! A lot of what he said, people of color especially have never heard, why, because they are constantly bombarded with the talk of ‘beef’ between grown men and not nearly enough about the empowerment of our people which is just about at a standstill!! While people are talking about what was said, and who said what, and all that, you have people of authority building more prisons, and doing everything they can to make sure your son and daughters end up there and off the streets! So, where do we have the time to even begin talking about another man’s money, career, who he is seeing, what he driving, or whatever? No economic base to provide for your family, but you care more about some ancient feud among two men from decades ago!! It really is time to wake up and deal with our own insecurities! Damon got his, and if you notice, he is not flashing his money in the camera, bragging about his material effects! 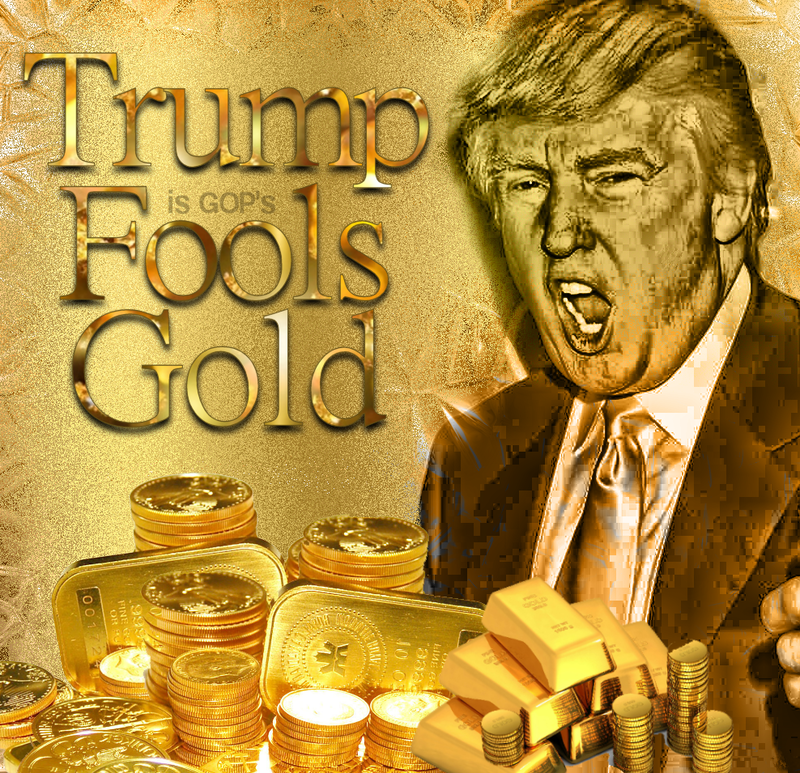 But he is making a lot of noise about having his own business and providing for his children, who also have their own business!! Now, that’s what’s up!! I appreciate your comment and I appreciate you taking the time to read my blog. You make some valid points but i think we see Dame through totally different perspectives. I agree that Dame is probably sick of answering questions about Jay and I’m sympathetic to that, but interviewers are going to ask what they think their listeners or viewers want to hear. If you don’t want to answer the question then you are not obligated to. A very simple way to handle that question is to say I’d rather not get into that, and move the interview along. I would probably be annoyed a little by the question and that’s why I didn’t give him a hard time about it in my blog, but Dame has been in the business for decades. He should know what to expect, and he should know how to deflect unwanted questions without turning it into a confrontation. If Dame wants to do interviews where he gets asked questions about business, then a hip hop morning radio show is not a good choice. Morning radio shows cover pop culture and their goal is to entertain. Charlemagne does a regular feature called “donkey of the day”. That alone should be a huge sign of what to expect. I guess Dame forgot where he was.